by breakfreebefit January 31, 2019 May 6, 2018 Leave a Comment on Do you know how to stop emotional eating? – 2B Mindset can help! How many times have you started a “diet” (aka Did I Eat That) only to feel frustrated and and unfulfilled within a matter of days or weeks? If so, you are absolutely not alone, my friend. Diets are frustrating – so many rules, so much counting, lists upon lists of no-no foods and so on. When Beachbody released the 2B Mindset in 2018, they stood up for emotional eaters and yo-yo dieters everywhere. This cut and dry nutrition program makes weight loss simple! No foods are off limits. In fact, I have chocolate for breakfast every single day and still lose weight! With the 2B Mindset, you get to eat BIG satisfying meals every day. Oh, and exercise? It’s extra credit. 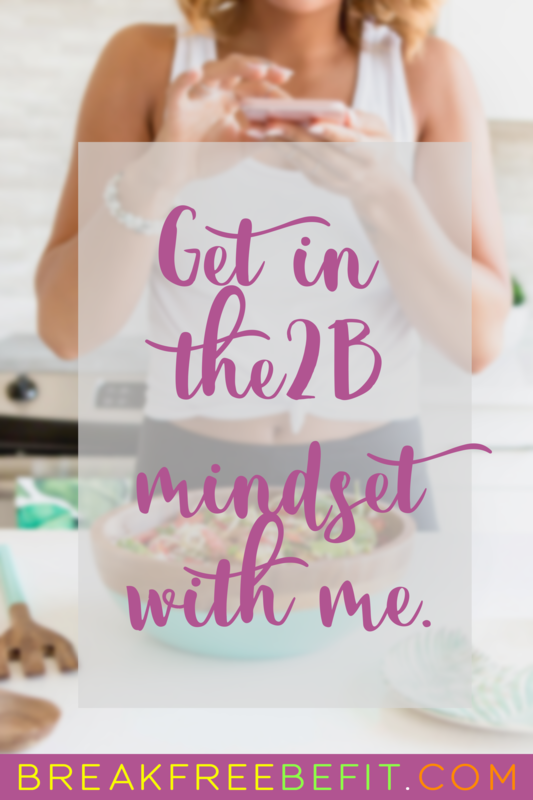 So, if you’re one of those people (like me) who likes to focus on one baby-step at a time, the 2B Mindset is for you! One of the most intriguing things about 2B Mindset is how it started. 2B Mindset was created by Ilana Muhlstein, a YCLA Registered Dietician who has lost 100lbs herself! Ilana battled her weight from early adolescence – going to weight loss camp every summer – and finally broke the code to overcoming emotional eating with a simple, sensible and sustainable approach to weight loss that she created. The 2B Mindset is simple, sensible and sustainable. It feels like anything but a diet. Have your cake, and lose weight, too. Those who have a history of eating disorders (like me) often feel trapped, overwhelmed or deprived with certain methods of weight loss. 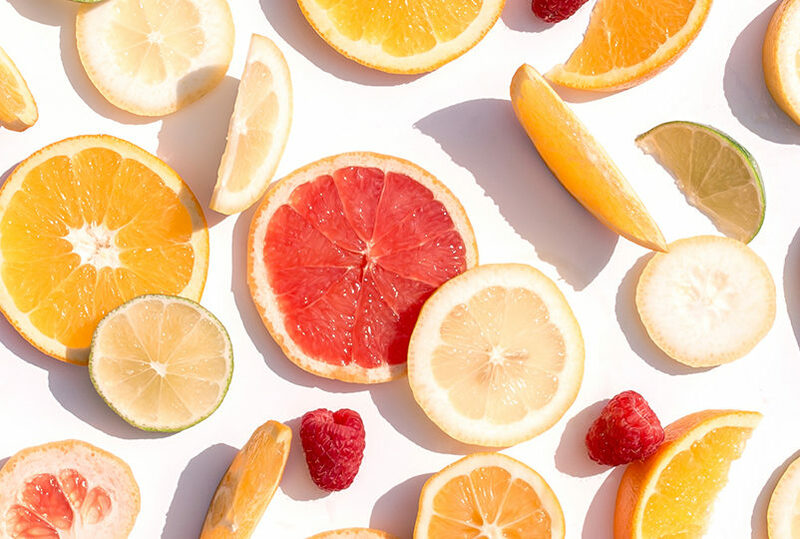 Tricky weight loss systems (especially those that restrict foods, require feeding windows, or excessive calculations) can exasperate negative thoughts about food, triggering binge eaters to go back to their old ways and gain even more weight. The 2B mindset can stop emotional eating because it uses a few simple rules and allows big portions that will keep you full and satisfied. It’s truly a teaching system that will re-wire the way you think about food. Are you ready to stop eating your feelings? I want to you break through the barriers of emotional eating with me. That’s why I started this site and became a Certified 2B Mindset Mentor. As a mom of six who battled with lifelong emotional eating and binge eating, I don’t have time for restrictive processes with lots of rules. I need simple. And you need simple. Let’s get this done together. This amazing program will help you start thinking of food as fuel and allow you to deal with your emotions on a healthy basis… not related to your plate. Ready to to gain a new mindset and new life? I will send you all of the need-to-know goodies today. Click here to learn – no strings attached! Previous ArticleAre you too old to get fit?